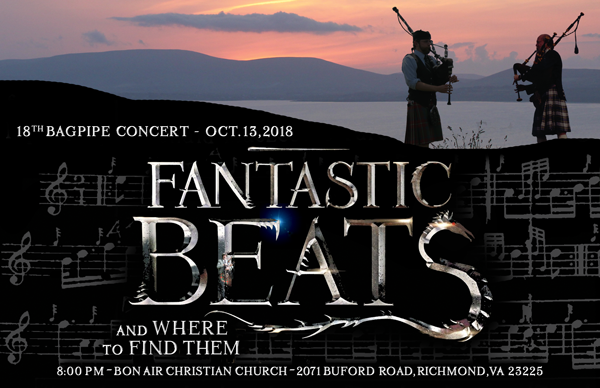 You are invited to join Bud Deihl and Chance Bell l as they present an evening of Highland bagpipe and Scottish smallpipe music. The concert will be followed by a reception featuring Susan Deihl’s legendary culinary delights. This combination of pipe music and good food truly make the evening a joyous occasion. Please share any way you like. I hope to see you, other band members and friends on October 13.